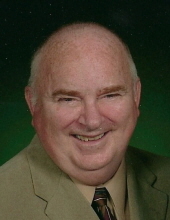 Rockford – Gary Albert Jones, 76, of Rockford, died Thursday, March 21, 2019, at UW Health University Hospital in Madison. He was born December 6, 1942 in Rockford, the son of William “Bill” Albert and Madora Margaret (Johnson) Jones. He graduated from Leaf River High School in 1960 and from Southern Illinois University with a Bachelor of Science degree in Mathematical Education and acquired Masters of Science degrees from Northern Illinois University in Education, University of New Hampshire in Computer Science and the University of California, Santa Barbara in Computer Science. Gary married Karen Sue Peterson on August 20, 1983 at the Jones family Centennial Dairy Farm near Egan. He taught mathematics at Momence Middle School, Lincoln Middle School and East High School in Rockford. He was a member of the Third Presbyterian Church in Rockford where he served as an Elder and Sunday School Teacher. Gary enjoyed traveling the world, especially visiting his children and grandchildren, fishing and hunting. Gary is survived by his wife, Karen Jones of Rockford; children, Kim (Jonathan) Williams of Austin, TX, David Jones of Sandy, OR, Kristin Jones of Denver, CO, Diana (Charles) Neiheisel of Holts Summit, MO, Laura (Keith) Soper of Danvers, MA, Elana (Russ) Schelling-Tufte of Rockford; grandchildren, J.J. and Rose Williams, Garet, Erica, Ayaka Jones, Gage Tastula, Kevin Neiheisel, Jacob and Amelia Soper, Wyatt and Cody Tufte; sisters, Carolyn (David) Johnson of Byron, Marletta “Sue” Poggioli of Rockford, Jan (Mike) Steele of St. Charles, MO; several nephews and nieces. Gary is predeceased by his parents; daughters, Pamela Kay Jones and Jill Marie Jones; brother, Ronald Jones; brother-in-law Harry Poggioli Jr.
Funeral service is at 11:00 a.m. with a visitation starting at 10:00 a.m. on Saturday, March 30, 2019, at Middle Creek Presbyterian Church, 12473 Montague Rd., Winnebago with Rev. Stephen L. Bowie of the Third Presbyterian Church in Rockford officiating. Interment at Middle Creek Cemetery. In lieu of flowers memorials will be established for the Third Presbyterian Church youth group and softball teams. Arrangements by Genandt Funeral Home, 602 N. Elida St., Winnebago. For an online obituary and tributes go to www.genandtfuneralhome.com. "Email Address" would like to share the life celebration of Gary Albert Jones. Click on the "link" to go to share a favorite memory or leave a condolence message for the family.